There's been plenty of discussion around a potential CFL franchise in Saskatoon lately, but it's sprung from an unlikely source, which perhaps says a lot about the likelihood of this ever happening. Rather than arising out of legitimate discussions around CFL expansion, this story's popped up as the result of The Saskatoon Star-Phoenix's reporting on two Credit Union Centre (the arena for the WHL's Saskatoon Blades) officials reportedly fired as the result of an expensive trip to Arizona, who are claiming in lawsuits against the CUC that their trip was authorized and was chiefly to examine the NFL's Arizona Cardinals and look into "sponsorship, event production, relationship building and the possibility of a Canadian Football League franchise and stadium for Saskatoon." 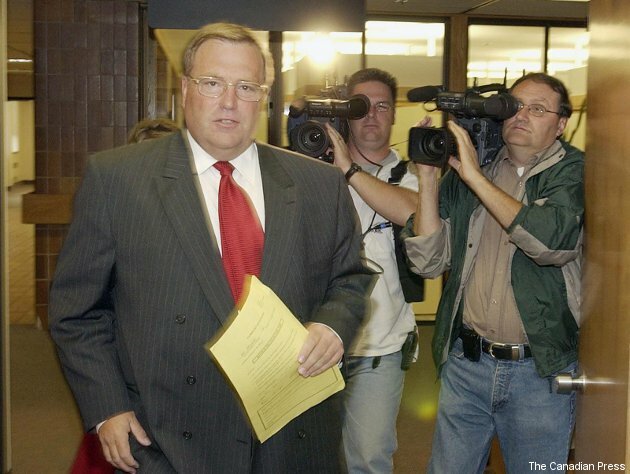 However, despite the story's inauspicious beginnings, it's drawn comment on the Saskatoon CFL file from everyone from Saskatoon mayor Don Atchison to Saskatchewan Roughriders' president Jim Hopson. Thus, it's worth looking at five conditions that would be required to put a CFL team in the city: the difficulty of meeting them demonstrates why this discussion has come under fire from both Regina and Saskatoon. —A stadium: You can't have a CFL team without a solid CFL-ready stadium, and Saskatoon currently has nothing of the type. The University of Saskatchewan Huskies have a decent facility, Griffiths Stadium, but it was built in 1967 and still only holds 6,171 despite a recent renovation (and even with temporary seating for the 2006 Vanier Cup, it only fit 12,567), so it's clearly not the answer at the CFL level. Moreover, building a new stadium won't be easy; just look at the issues the Roughriders have ran into trying to replace their own one, and it's much harder to build a stadium for a non-existent franchise that may or may not be granted than it is for a current, successful one. A stadium versus an expansion team is similar to the chicken and the egg argument; it's difficult to get one without the other, but there's substantial debate on which needs to come first. Neither appears destined for Saskatoon at the moment, though. —Corporate support: Substantial business support is vital to operating a professional sports team in this day and age. Saskatoon does have some advantages here, as the city is home to plenty of companies, and some of them might have substantial interest in associating their brand with the CFL. However, an issue here is the team down the road; given the Roughriders' province-wide appeal, many Saskatchewan companies have already thrown in their lot with them. There certainly would be some corporate support for a Saskatoon team, but the question is if it would be enough. —Ownership: Yes, the CFL has some community-owned teams, including the Roughriders, but it's very tough to envision that model working in Saskatoon. Those teams have largely survived and kept that model because of their history, and there still have been plenty of rough patches (including the Roughriders' fund-raising telethons in 1987 and 1997). If there's going to be an expansion team, it's likely going to require at least one wealthy owner and perhaps a group of them. Moreover, that owner will have to be in it for the long term. Not surprisingly, people like that don't pop up under every bush; the main reason David Braley owns two CFL teams is that no one else wanted the Argonauts. A rich owner could solve a number of problems for a Saskatoon team, including perhaps building a stadium privately and drawing more corporate support through business connections, but rich owners committed to the CFL are not easy to find. —Fans: It's obvious the province of Saskatchewan has plenty of CFL fans; just look at the TV ratings of games involving the Roughriders. However, many of those people are fans of the Roughriders, and even plenty of those who live right in Saskatoon aren't likely to instantly jump ship to a new team. Hopson said about 10 per cent of the Riders' season-ticket holders come from Saskatoon, and "about half" of their customers come from outside Regina. Allegiances often go beyond simple geography, and many aren't going to switch to a new team just because it happens to be closer. A Saskatoon team will need to draw well at the gate in both the short term and the long term, and neither is a particularly easy proposition. —Approval from the CFL: This might be the most difficult criterion to achieve, as the upside of a team in Saskatoon for the CFL seems quite limited. It might draw some new fans and corporate sponsors, sure, but it would likely be primarily drawing from those who already support the Roughriders. For the league, it's not necessarily all that relevant which team fans support, as long as they support one. There's also substantial risk involved with an expansion team, and the other factors involved here make that risk even higher. Moreover, the Roughriders have substantial pull at the CFL board level, to the degree that they've reportedly been able to veto Ottawa returning to the Rough Riders name, and they'll likely be strongly against this, as it would remove their status as a provincial team as well as a lot of their revenue and support. With limited benefits for the league as a whole and the almost-sure animosity of one of their existing franchises, it's difficult to see why they would ever approve this unless the situation changed dramatically. The Saskatoon discussion is always interesting, but as with the previous times it's come up, it doesn't seem likely to go anywhere any time soon. For one thing, the CFL's still dealing with expanding to Ottawa, and there are plenty of better candidates in line after that, including Atlantic Canada. For another, Saskatoon currently meets none of the five crucial criteria above, and the city doesn't seem particularly likely to hit a large number of them any time soon. It says a lot when some of the most fervent criticism of the idea comes from the pages of the city's own newspaper. There's nothing wrong with having the discussion, but at the moment, the obstacles to a Saskatoon-based CFL franchise appear overwhelming.